If you are entertaining for Thanksgiving, this Thanksgiving Planning List is especially for you. Even if you are not, you may find some of the items helpful or interesting. 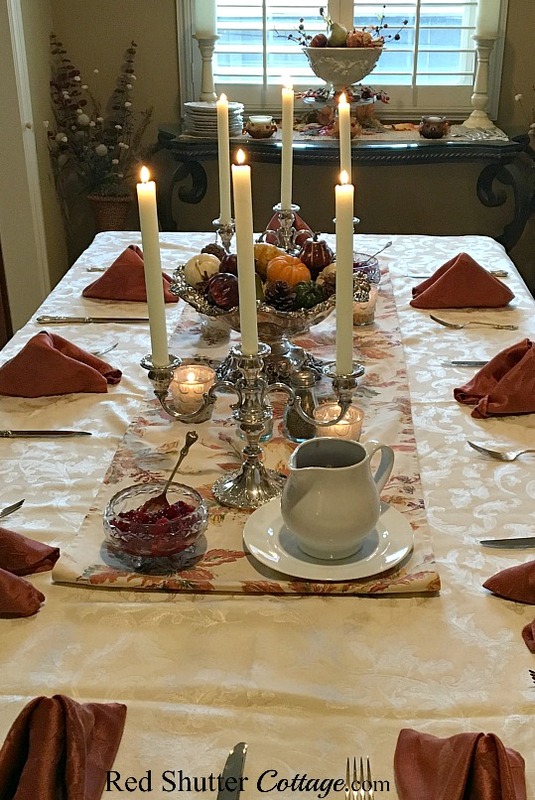 Below is of list of action items that I use every year as my Thanksgiving Planning List, and that I hope will help you with being organized, prepared and fully equipped to not JUST execute a successful Thanksgiving dinner, but to enjoy yourself as well. 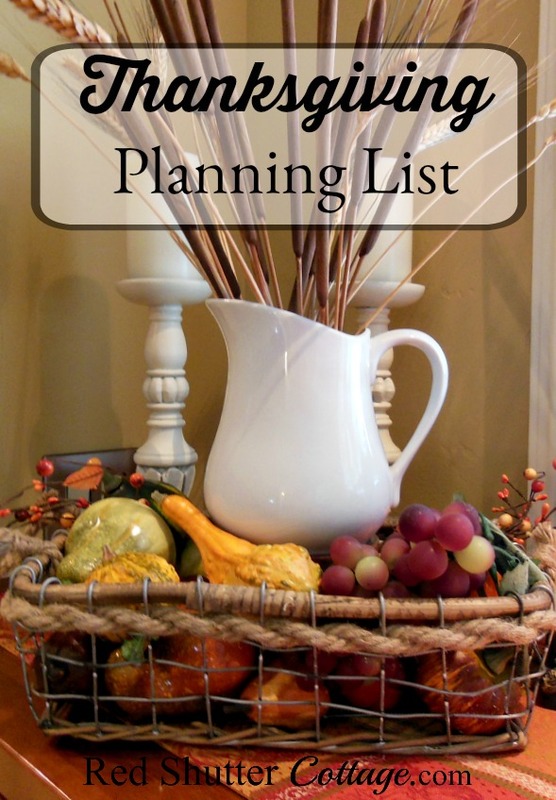 To begin with, NOW is great time to start your Thanksgiving Planning List. (And yes, I realize Halloween is still a week away!) A good first step would be to sit down (at your computer, or with pen and paper) and brain dump as many things as you can think of that will need to be addressed/handled/cooked/finalized by Thanksgiving day. No filtering, no particular order, no editing, just a total random list: Clean the silver, have the carpets shampooed, schedule a hair appointment, and maybe a manicure, run some vinegar and baking soda through all your drains, schedule your cleaning lady, or schedule your cleaning schedule, think about music, double-up on toilet paper inventory. Give yourself a bit of time to do this, because it may even take a couple of days. Decide what you are going to wear. If you are due for hair appointment, make sure you schedule it early enough. If you work full time, would you be able to take off the Wednesday before, or at least leave early? Try to fit in a work-out or an exercise class the week of Thanksgiving; even if it’s a yoga video on YouTube. It helps keep the stress down. Invite them early enough so you can answer the question “What can I bring?” with a planned, well thought-out answer. Invite them early enough so THEY can plan ahead. Finalize your head count as soon as you possibly can, even though there almost always seems to be a last minute addition or two! #3: Take care of your home. 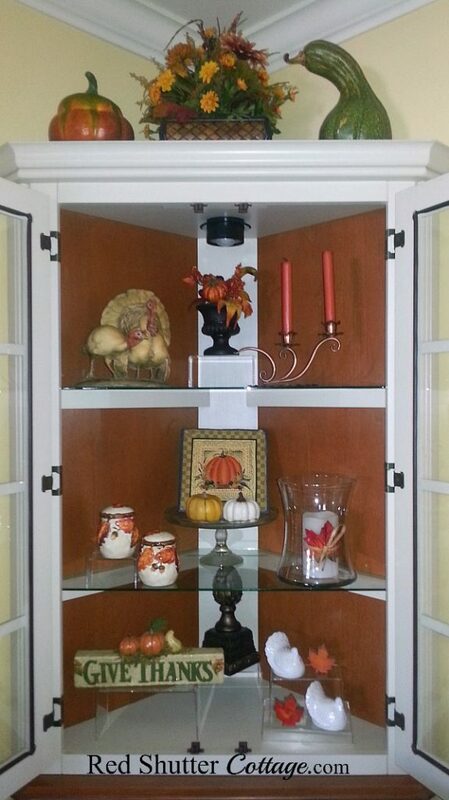 If you have a cleaning service, try and book them as close to Thanksgiving as possible. If you do your own housecleaning, set-up a schedule that breaks-up the various parts of your house. 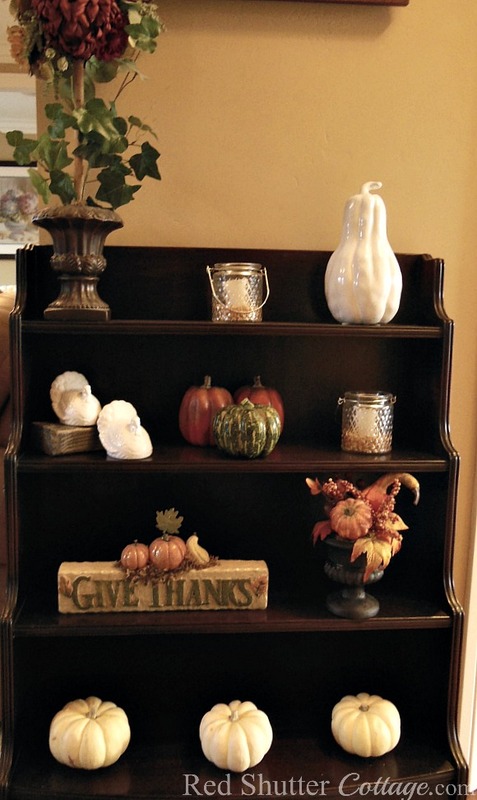 Over the next few weeks, clean your home section by section. Keep the focus on areas most used when entertaining: entry way, kitchen, dining room, living room, and bathrooms. 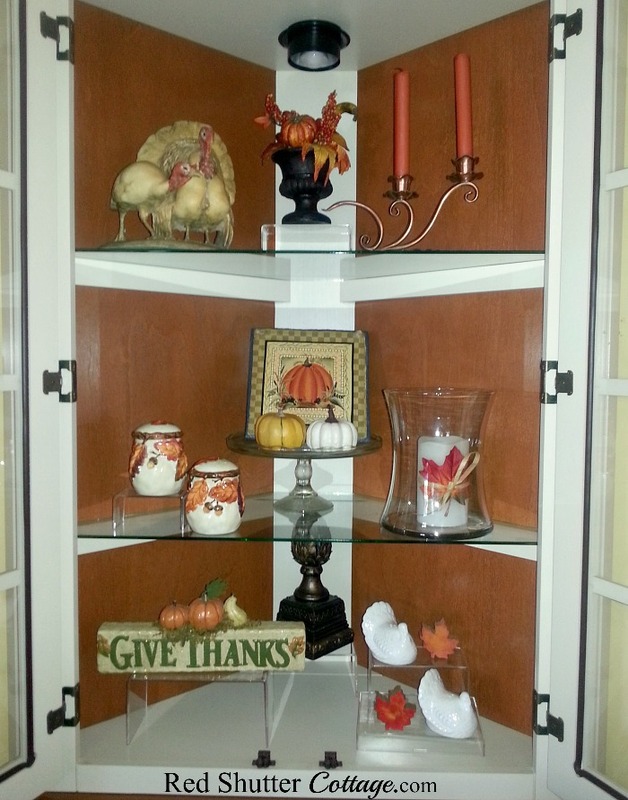 Oh, and designate one room for your guests to put purses and coats in, as well as any extra bags or totes they used to bring their contributions to Thanksgiving dinner. On a personal note, I cannot remember a time when I DID NOT spend the entire week-end before Thanksgiving furiously cleaning my whole (small) house. But this year, I purchased and began using a cleaning schedule, and by following my cleaning schedule, I know I will not be cleaning my whole house that week-end. Confirm your head count as soon as possible (see above). This number pretty much drives everything. Room for the gravy boat and a cranberry bowls. 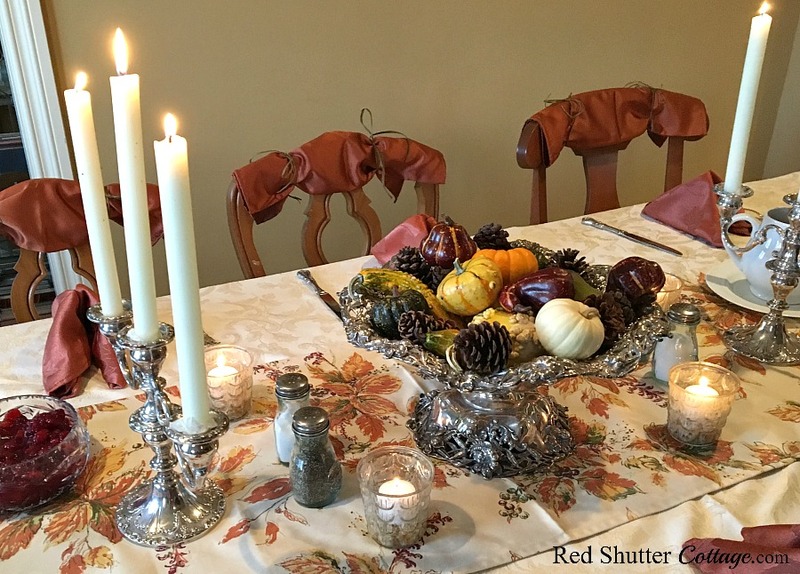 One trick that works very well for me is setting my table on the Sunday before Thanksgiving. It is one less thing you have to do, and you can take your time with it to make sure it is exactly how you want it to look. If you’re concerned about it maybe getting a little dusty, throw a flat top sheet over it to protect everything. Where are you going to serve your food? I clear off a counter in our kitchen, and I pretty much have my group trained to line-up there, buffet style. 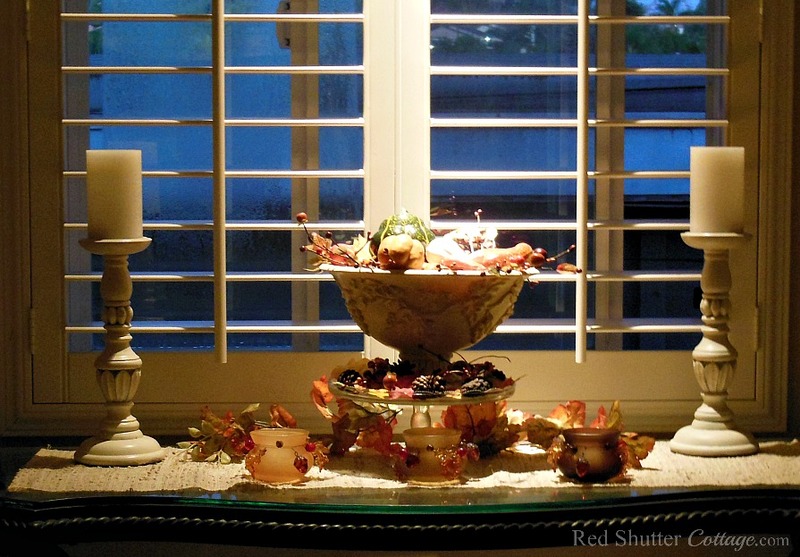 But maybe you have a sideboard or a dresser in your dining area that allows you to set-up your food there. 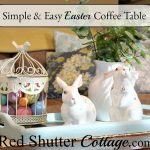 Another option may be that you have room on your table to place all your serving dishes, and everyone passes them around. If push comes to shove, perhaps setting up a small card-table will serve as your food station. It doesn’t really matter HOW you do it, just make sure you have a plan for where all your serving dishes go. This next part is a little tricky, and I usually fail at it. In the rush to ensure all your food is hot and ready to serve at the same time, there is a fair amount of chaos, and as a result, all your kitchen counters and open spaces get filled up with pots, pans, platters, etc. But then, as people finish their dinners, the dinner plates need to come back IN to the kitchen. Oops. There is nowhere to start stacking the used dinner dishes, because all the counter space is taken up. My approach is to wash, dry and put away dishes as the dinner is cooking. A good time for this is when your turkey is resting, and your side dishes are all in the oven keeping warm. It’s too early to start serving, but there is really nothing else you can be doing, except drink wine and visit with your guests. Which is why I usually fail at this. Start planning your menu now. If you have a file or a notebook dedicated to your holiday or Thanksgiving dishes, pull it out. If you have made notes about various recipes, edits, tips, or just a general description, make use of those. If you do not have a ready supply of recipes, check Pinterest, or do a Google search of specific dishes you would like to serve. The recipes often include instructions of whether or not a dish lends itself to being pre-cooked, refrigerated and then warmed-up. These kinds of dishes will help your Thanksgiving day go a little more smoothly. Start making a list of basic items that may need to be re-stocked, i.e., flour, chicken broth, herbs or seasonings, brown sugar, butter, milk or cream, toilet paper, etc. Also make a list of specialty items needed for Thanksgiving dinner; the turkey, cranberries, potatoes, green beans, bread crumbs, parsley, onions, oranges, pumpkin puree, evaporated or condensed milk. Start purchasing some of the non-perishable items over your next few grocery shopping trips. This helps with avoiding a huge grocery bill right before Thanksgiving. Not only that: have you ever tried to find a container of Pumpkin Pie Spice, or a can of cream of mushroom soup the night before Thanksgiving? Exactly. As an aside, this is also a good time to start clearing a little extra space in your cupboards, pantry, refrigerator, and storage shelves. If you are buying a frozen turkey, my best recommendation is to take it out of the freezer and put it in the refrigerator the Saturday night, or Sunday morning, before Thanksgiving. A slow thaw in the refrigerator is the safest (and least stressful) way to thaw your turkey. There are hundreds, actually thousands of words written about turkey preparation; weight, size, defrosting, cooking temperature and time, etc. It’s all readily available on the internet, in magazines, on Pinterest and in books. I am quite certain nothing I could say here would be an improvement. So please use those sources to access any helpful information you may need. The Sunday before Thanksgiving, sit down and write out a schedule for the rest of the week, including Thanksgiving day. Decide which dishes can be made ahead of time and refrigerated (see above). Are there preparations you can do to save time on Thanksgiving day, such as chopping, making a sauce, or even finishing one of your side dishes? Include things like making cranberry sauce, setting up the bar, making sure you have ice, what time you will light the candles, and fill the water glasses, putting out guest towels, Kleenex and extra toilet paper in the bathrooms. This last step is one you will not feel like doing, but trust me, your future-self will be ridiculously grateful. 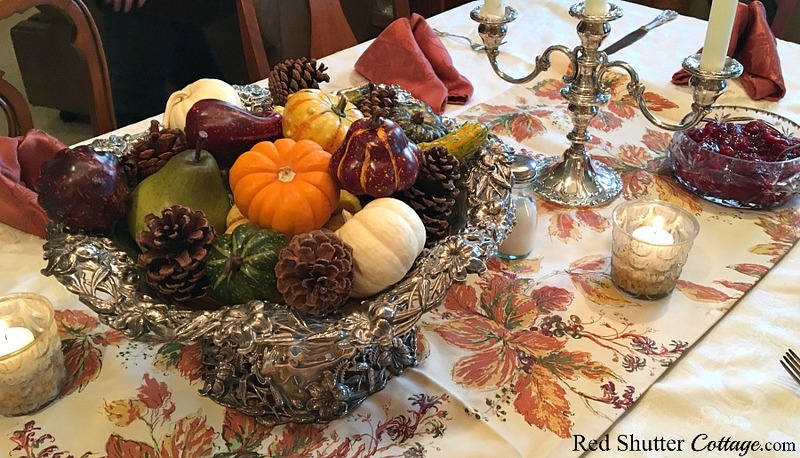 I hope some of these ideas help you with your preparations, which in turn will help ensure Thanksgiving is only minimally stressful and more fully enjoyable. Because when that doorbell starts ringing, and your guests walk in bearing trays, plates, casserole dishes and pies, chaos will erupt. Joyful chaos, without a doubt, but chaos nonetheless. And there you stand in the middle of it, greeting your guests and directing traffic, the picture of serenity and calm. Hosting Thanksgiving is a gift to the people you love and care about. You are not just serving a meal, you are providing an event and an experience, creating memories of celebration, laughter and family. Thank you! Writing this actually helped ME with starting to think and plan ahead! Very well thought out tips, I can tell you have done this before. Isn’t it wonderful to think about all the work, love and energy women put into celebrating each holiday with their families. Thank you Leanna! It certainly is a labor of love – but I truly do enjoy it! My rewards are simple: good conversation and lots of laughter around my table! Great tips… for any dinner party. The post-mortem is a key step… and important to do while everything is fresh in your mind. I always appreciate my notes the next time around. Funny aside about leaving a few Halloween decorations up by mistake. I always have to leave one seasonal decorations bin out for a few weeks before I put it away… because there’s always something hidden (usually in plain sight). Yes! The post-mortem is crucial. I hate to do it sometimes, but I am always so glad I did. My memory is simply not what it used to be! Good idea to leave one bin out for a while, I will (try to) remember that ! So methodical! We’re in the midst of a huge kitchen renovation this year, so my hope is that the cabinets will be in place and the dining room table will be out of the living room in time for Thanksgiving Day! Michele – I hope things come together for you… a kitchen renovation is enough in itself, but right around the holidays seems like it would be very stresful! I have been hosting Thanksgiving for 7 or 8 years now. Just last night, I pulled out my “Post Mortem” from 2017. I made notes on the order I cooked my dishes in, and how I arranged everything in the oven to keep warm while the turkey sat. 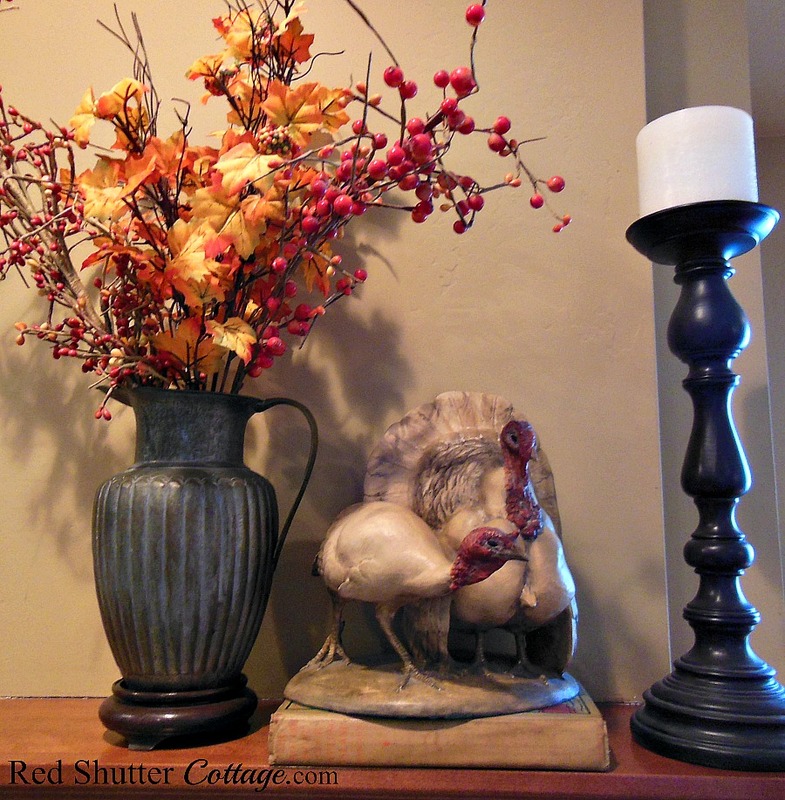 There is a blessed sense of calm when I have a put a plan together to host Thanksgiving. Thank you for stopping by! Good luck with the kitchen!